There is no denying the level of convenience and freedom that an RV generator can bring to your home or business. And this is especially true to those us who unfortunately live in neighbourhoods that are plagued with an erratic power supply. 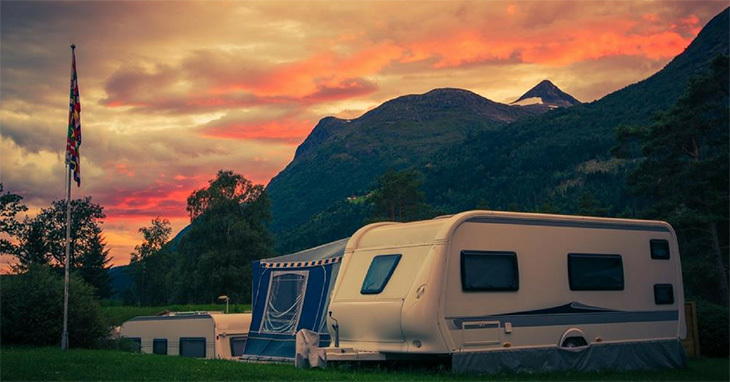 The assurance that your RV will pick immediately after the lights go out can be assuring and comforting. Life in the 21st century is definitely not perfect, but an RV generator is one of those things that make it worth the trouble; take a look at this article for the best RV generator. But even with this aside, an RV generator can come in handy whenever you think of outdoor camping and boon docking. You can count on it to keep you fully ‘plugged in’ even as you retreat away from civilisation be it for recreation or in-depth soul searching. That said, like any other modern machinery, an RV generator required regular maintenance to remain in tip top and prime working condition. And this is where things get a little bit confusing thanks to the dozens of guides on the interwebs written on ‘How To Maintain Your RV Generator’. Well, let’s straighten out those kinks today. By preventive maintenance, here we mean that you simply shouldn’t wait until your RV generator starts spurting out problems before you think of performing analysis or checks. In other words, you ought to get into a habit of conducting regular checks on your machine even before any problems crop up. These kinds of checks are important for identifying, preventing and correcting potential problems that could lead to a mechanical malfunction, breakdown, and failure of a component or the entire generator system. This kind of preventive ‘check-ups’ mainly consists of cleaning, inspecting, adjusting, lubricating, adjusting and generally servicing the generator. The best thing about all this is that you can incorporate preventive maintenance into your every-day schedule or whenever you want to use the machine. For instance, get into a habit of checking the unit for oil/fuel leaks before starting it. At the same time, you should check the oil level and also inspect the exhaust system to confirm that there are no any leaks and that it is mounted correctly Apart from this, you should also be making sure that all Carbon dioxide detectors in the generator set are working properly. Otherwise, if you want to keep your generator working reliably for several decades, do your best to follow the recommended servicing intervals, in addition to the storing and operating procedures. One of the biggest problems that most RV generators will plague you with is failing to start particularly after a long duration of inactivity. Ideally, generators are designed to run with at least 50% of the load for at least 2 hours per month. If anything, even you barely use the RV, there is no reason you shouldn’t start and run it at least once per fortnight. There are so many mechanical problems associated with inactivity of such machinery that it doesn’t make any sense to refrain from running it occasionally. Just to give you but a glimpse of this; a motor left with diesel or old gas in the carburetor will form a kind of lacquer that is likely to plug or block the generator’s idle jets. 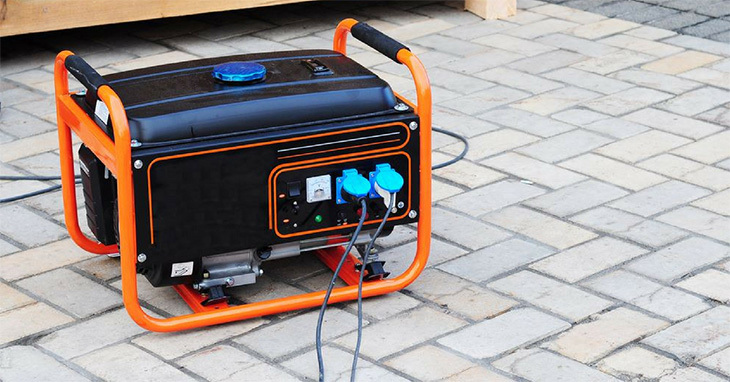 That implies that leaving your generator to sit idle in your garage even for just a month is enough to trigger fuel-related issues. Even worse, the sticky lacquer can sometimes stop your generator cold. Moreover, each time you restart your generator re-lubricates the engine seals thus assisting in the prevention/stopping carbon buildup inside the ignition chamber. What’s more, exercising your RV frequently makes it more fuel efficient, reliable and extends its mechanical life as well as it stops the bearing from collecting rust. To add on that exercising your machine circulates the fresh fuel throughout the system thereby lubricating the inner parts of the motor – also known as giving the electrical bearings a fresh spin. Those who have ever worked in large factories know that industrial generators are often scheduled for ‘check up’ after a predetermined period. This might be after running for a given number of hours of operation or once or twice per month. 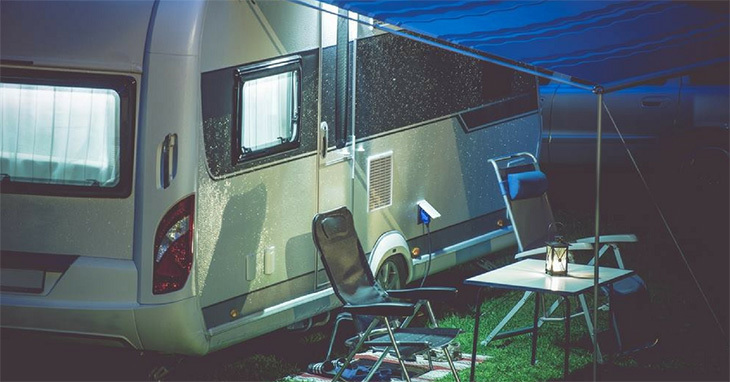 In similar tandem, you should also strive to carry out scheduled maintenance on your household RV generator regardless of whether or not it has developed or shown signs of developing mechanical or electrical problems. Such scheduled maintenance, especially when done by a qualified, experienced professional, keeps the RV generator in prime operating condition besides lessening the chances of an untimely breakdown. This is in addition to keeping expensive emergency repairs at bay and repair costs low. While still at this, be sure to familiarise yourself with the generator’s owner’s manual and warranty information to determine who is responsible for footing the bill as far as scheduled and routine maintenance is concerned – particularly in situations where not performing scheduled maintenance according to a recommended routine can make your warranty void. In case you can’t open up the machine by yourself, then it is advisable to consider taking your RV generator to a repair shop every once in a while for periodic servicing or after a specified interval. You RV generator air cleaner’s function is mainly to keep dusty air from gaining entrance to the motor’s air intake nozzle. However, depending on how you use or store your unit, a fine powder of accumulated dust or powder-like substance will sometimes coat the air cleaner, which, as expected lessens its functionality. This further implies that cleaning and replacing the filter regularly makes it easier to achieve a richer air-fuel mixture in the combustion chamber. This lessens the premature wear and tear of the engine’s internal components, mostly because the extra fuel in the air tends to wash away the accumulated oil droplets. To prolong the operating life of your RV generator, it is important to familiarise yourself with the various maintenance practices that different parts of your unit demand. Reading and understanding the owner’s manual is a good place to start from, before attempting later to carry out the servicing with the supervision of a qualified craftsman. If you have any comments or questions regarding this article, feel free to contact us. Christina Powell is a chief editor at WheelOnRoad.net – a blog that is focused on sharing tips and tricks about automotive. Signs That Your Car Needs Servicing DIY Maintenance Tasks to Avoid Air Conditioning Unit Repairs Buy Or Rent A Water Cooler For The Office? Get Hold of Premium Cars With The Best Chevrolet Dealers in Locality From Sewing at Age 8 to Selling Designer Pram Liners!